Compatible with Falcon Eyes RX-18T/RX-18TD Roll-Flex LED Light. The soft box and soft Grid can be used respectively to meet you need. 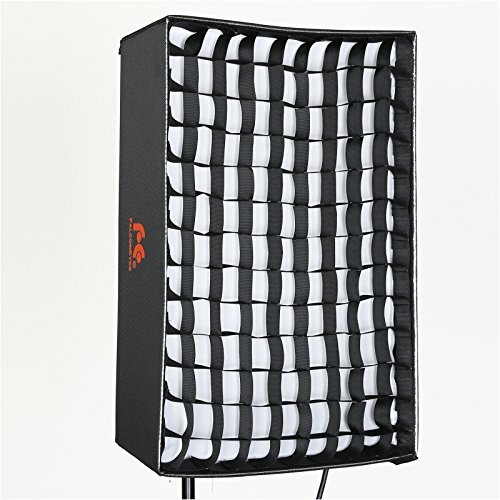 With honeycomb style design and velcro sewn around the sides, can be respectively fastened to the inner side of the softbox. Soft light take in the studio light,light emitted by a softer,shooting to remove spots and shadows ih the picture. If you have any questions about this product by FalconEyes, contact us by completing and submitting the form below. If you are looking for a specif part number, please include it with your message.